On Saturday Cadets and Staff visited Stansted ATC Tower, which is run by National Air Traffic Services (NATS). Stansted has one of the UK’s tallest control towers at over 200 foot!! Cadets had a tour of the tower and equipment used, as well as the procedures and skills involved in keeping Stansted operating. If you are interested in a career as an Air Traffic Controller, there are some game challenges to try on the NATs website, click here. View a 180º Panorama looking north over the runway from the Control Room – For the full size image [4Mb], click here. 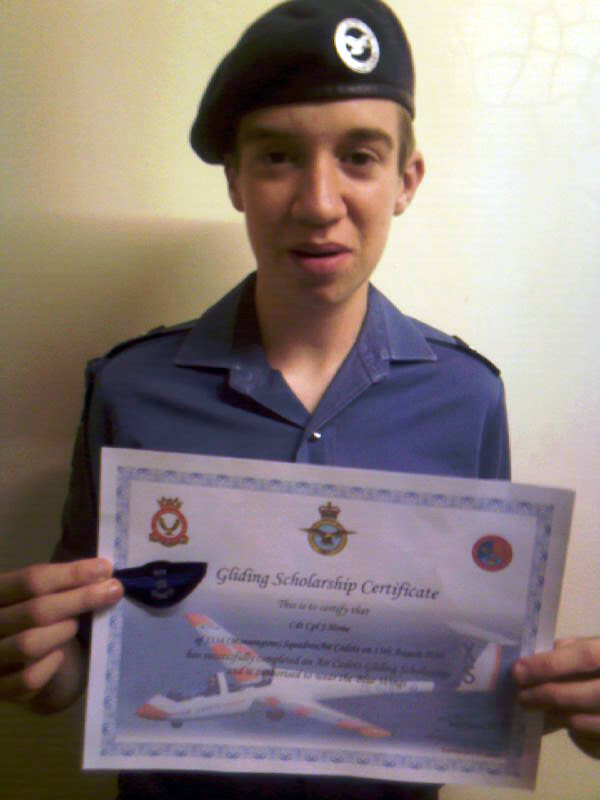 Cadet Cpl Home has obtained a place on a Gliding Scholarship Course at 614 Volunteer Gliding School, Wethersfield. He will undertake theory and practical lessons at the airfield to achieve his Gliding Wings. Flying a solo circuit will complete his training towards the end of the course. 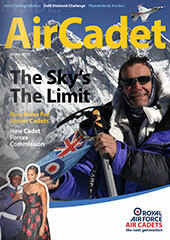 Good luck from all the Staff and Cadets – we shall cross our fingers for decent weather next week! Our Model class is nearing completion of it Starter Kits. These models are recommended by the BMFA (British Model Flying Association). Modified versions of these kits are also used for the World Indoor Championships. On Saturday 14th March Cadets; Home, Bettle, Harvey-Smith and Osborn went to RAF Wyton and completed their flying AEF instructed by ex- RAF pilots. We all had a safety flying brief before completing some basic flying manoeuvres, then continuing on to some aerobatics. The planes we used were the Grob Tutor. Unfortunately Cadet Holmes was sick during his flight but everybody thoroughly enjoyed the experience. C.I. Castle also had a flight in the Tutor towards the end of the day which was his first flight since he was a cadet in the late 60’s. Cadets have begun a new project to commemorate WWII 617 Squadron, RAF, “The Dambusters”. Cadets have divided into teams to design and build a working model of a Dam and Lancaster Bomber complete with bomb and bomb release mechanism. The eventual aim is to use as part of the Squadron’s fund raising at local event during the summer, keep an eye on our Noticeboard for dates.